This mammoth 96 mile aqueduct was built between 1890 and 1925 to serve the growing demand for water in post-industrial revolution Manchester. A true feat of Victorian engineering, it brings over 220 million litres of clean drinking water (11% of the North West’s water) from the Lake District to Manchester over a 36 hour journey. It is the longest gravity-fed aqueduct in the world and if its tunnel section was continuous it would be the longest tunnel in the world. 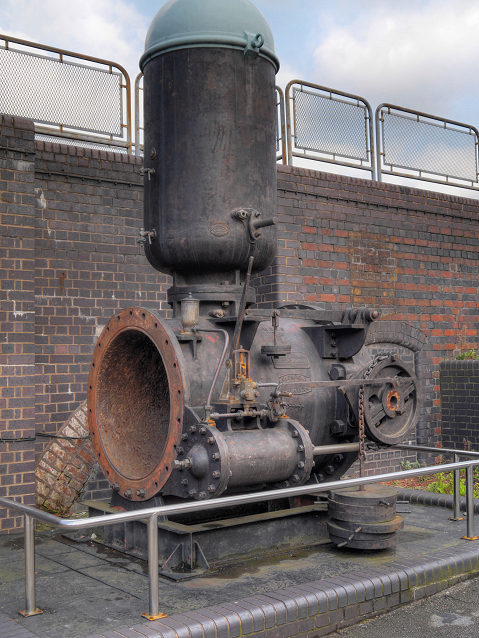 The aqueduct was the brainchild of the waterworks committee’s engineer John Frederic Bateman back in 1875. He conceived the idea of bringing water from the Lake District to suplement the existing supply from the Pennines which was no longer sufficient. The plan had the benefit of being a cheap option. The Thirlmere stream was selected due to its height and lack of contamination. It was dammed to create the current reservoir, and on 12th October 1894 Alderman Sir John James Harwood officially opened the reservoir. 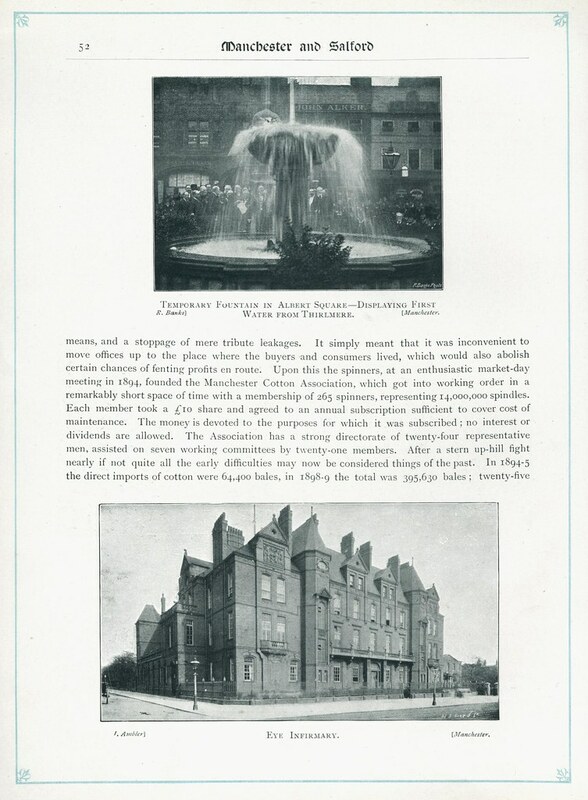 As the water travelled steadily at four miles per hour back to Manchester Sir John made his way home, beating the water back to the city to turn a tap releasing it from a specially-constructed temporary fountain in Albert Square amid masses of spectators. That’s not the fountain currently in Albert Square however; that was erected three years later for the Diamond Jubilee of Queen Victoria. But let’s face it… it was thanks to the forethought of Bateman 19 years earlier that there was enough water to power it. Although primarily underground a number of structures (valves, inspection hatches and others) can be found along the aqueducts route for a variety of purposes. In many places pipes and bridges are visible above ground as they cross rivers and valleys. One recurring and distinctive design of building with the Manchester coat of arms embedded in its wall can be seen in the adjacent photo of an example near the fire station in Stretford. You might spot an exact replica in the middle of the countryside one day. To get a grasp for the aqueduct you really need click here to look at it on the map (be sure to zoom out). In order that inspectors could easily walk the route of the aqueduct, gates were added to boundaries along the route to facilitate access. Look closely at the streetview image and you’ll see a typical metal gate. These gates are fondly searched for in the countryside, as documented on Thirlmere Aqueduct Access Gates by the self described ‘Nutters Mobile Surveillance Unit’. Self closing valves (like the example pictured on display at MOSI) would stop the flow of water if the aqueduct burst, but had to be reopened by hand. They have now been replaced by remotely operated valves. 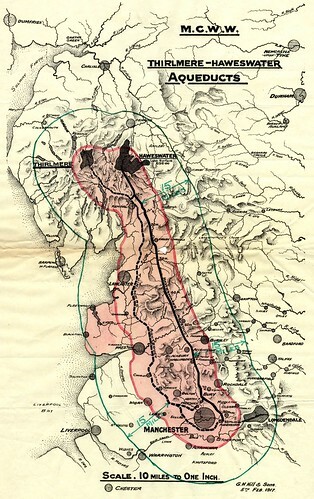 A later project created a similar aqueduct from Haweswater to Manchester creating the Haweswater Aqueduct. There is a great history of Thirlmere Aqueduct on the Cumberland & Westmorland Herald site, and if you want to follow the Thirlmere way you might like Reg Kingston’s directions for the LDWA Thirlmere walks. The Manchester Evening News recently ran an article about Thirlmere Aqueduct’s 120th anniversary and United Utilities provided some history and infomation about its inspection. This set of pictures from Thirlmere Reservoir shows the structures at the source where the water is strained, and commemorative plaques. There is a great article on the Manchester Evening News titled “How Victorian water engineers put Manchester on the tap” which gives a good summary of the engineering behind Manchester’s water. The Armitt Library in Ambleside (which is close to the route) has beautiful colour lithograph prints of ‘Works at Lake Thirlmere’ and a map of the Line of Aqueduct from Thirlmere to Manchester (click the links to see their scans). I started plotting the route of the two Lake District aqueducts by using Tatham History which also has an awesome interactive map, Haweswater Aqueduct Access Gates and Thirlmere Aqueduct Access Gates by the Nutters Mobile Surveillance Unit. I spent hours poring over Google Earth and eventually a 1913–1914 OS County Series map of Lancashire and Furness which has the exact route of the Thirlmere Aqueduct marked. I was then thrilled to find a Thirlmere Aqueduct Google Earth KMZ file and a Haweswater Aqueduct Google Earth KMZ file on a forum by seggy224 with the exact routes (although I was frustrated not to have found them earlier). They have put a considerable amount of time into tracing from Google Earth observations, Google Streetview stills and a lot of hard work. In fact they’ve done an excellent job… much better than I could have managed, so I was keen to use their data. I managed to make contact to obtain permission to use the data and have transformed the route from KMZ to GeoJSON using Mapbox for the conversion and jq to cut down the result (which included features for each surface structure—way too busy when plotted on the map).